Halvergate Marshes had several drainage mills working in the 1800s. High's Mill was also known as Gilbert's Mill or Lubbock's Mill. The 2 storey tower only had one window on the upper floor. The mill stood by itself on a cut from mill Fleet Dyke. 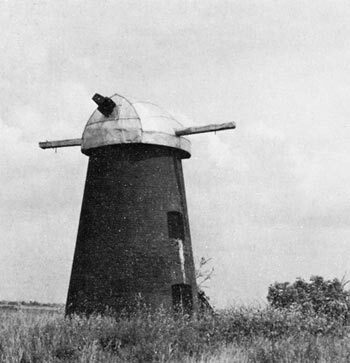 In July 1988, Arthur Smith reported that the mill was owned by the Norfolk Windmills Trust and had been weatherproofed with a temporary aluminium cap. Some machinery remained inside, including the windshaft with brakewheel and canister. The scoopwheel was still in situ on the outside oif the mill.